Wondering about Invisalign cost? Are you looking for the best orthodontic treatment for your crooked, crowded or misaligned teeth? Are you confused about whether to choose traditional metal braces or Invisalign aligners? If you are thinking in terms of cost only, both treatment methods are available for a similar outlay. However, if you really want a treatment plan that won’t affect your quality of life and confidence levels during the course of the treatment, then Invisalign may be the better choice for you. At almost the same cost as traditional braces, Invisalign offers you aligners that are totally comfortable in your mouth. These aligners can be removed easily if you want to eat something and you can eat anything you want without restriction, including snacks, apples and raw carrots. 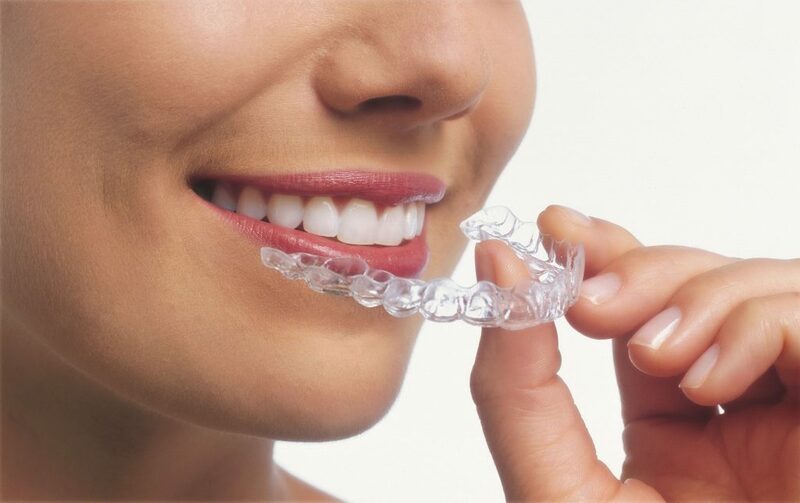 The other good thing about these aligners is that you can maintain your dental hygiene easily by brushing and flossing after removing your Invisalign aligners. In addition, these aligners are virtually invisible, so other people will not even notice that you are undergoing orthodontic treatment unless you tell them. You can smile freely during the treatment as well as afterwards. It will have no impact whatsoever on your confidence levels. There are many dental insurance plans which cover Invisalign treatments. They do this in the same way as they would other orthodontic treatments like metal braces or orthodontic surgery. You may be surprised to know that insurance plans may even cover all of the Invisalign treatment cost. You can talk to your orthodontist and the insurance provider to know more about your coverage. This may be a good way to go for Invisalign treatment without the burden of a large payment at the end of your treatment. You can put your FSA (Flexible Spending Account) towards treatment by Invisalign. You have to set almost $2000 to $2,500 of your pre-tax dollars aside by means of your Flexible Spending Account. Those funds can help you cover much of the cost of Invisalign treatment. You can then simply apply for Flexible Spending Account reimbursement. Invisalign-trained orthodontists can offer you monthly payment plans. These plans are highly flexible. Moreover, the plans are easily affordable and do not place any burden on you. You can discuss the most suitable monthly plan with your orthodontist. York Orthodontics provides interest-free payment plan options. Estimated monthly payment, based on the info below. The cost of Invisalign treatment is similar to that of traditional braces. Consult with an Invisalign-trained doctor to determine the cost of treatment based on your geography and the complexity of your case. An FSA allows you to set aside a portion of your paycheck in order to pay for qualified medical expenses. After incurring eligible medical costs, you can then submit your receipt(s) for reimbursement. The annual maximum contribution is $2,500 for individuals (or $5,000 total for a married couple). Lower your monthly cost by making a down payment.